SEK International Schools have a rich 125 year history and tradition of pedagogical innovation and leadership in Spain and worldwide. That’s why we offer educational programmes unlike any other. Technology and innovation are vibrant at SEK International Schools. We combine the most up-to-date learning resources and the latest technology, such as iPads, robotics or smart boards, with our innovative Smart Classroom methodology to deliver state-of-the-art student-centred education. SEK-Qatar has been chosen by the Ministry of Education and Higher Education to join its prestigious Outstanding Schools Program. 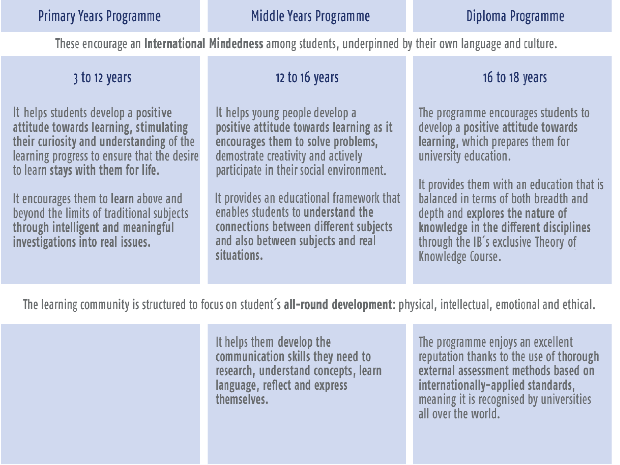 Subject to IB authorization, we offer the continuum of International Baccalaureate (IB) programmes starting at age 3, a genuinely international, rigorous education recognised worldwide. SEK-Qatar’s distinctive identity is that of a Spanish and International school serving the local and international community in Doha. While the main language of instruction is English, our students have the opportunity to develop their fluency and mastery of both Spanish and Arabic. At SEK International Schools we believe a passion for learning is a passion for life. We prepare our students to become balanced global citizens and lifelong learners. Lifelong learners, flexible and creative thinkers and problem solvers, with a solid knowledge base. Balanced individuals who are socially and emotionally intelligent, good communicators and lead healthy lives . Active Global citizens, open-minded, principled, entrepreneurial and committed to positive change at a local and global level.